This feature has been a long time in the making. Bryan has been supporting us since Day 1 and it’s awesome to see how far his build has come. Now that the car is complete (lol there’s no such thing as complete), we had the opportunity to get his 2016 Scion FRS in front of the lens. Scroll down to learn more about Bryan’s build! 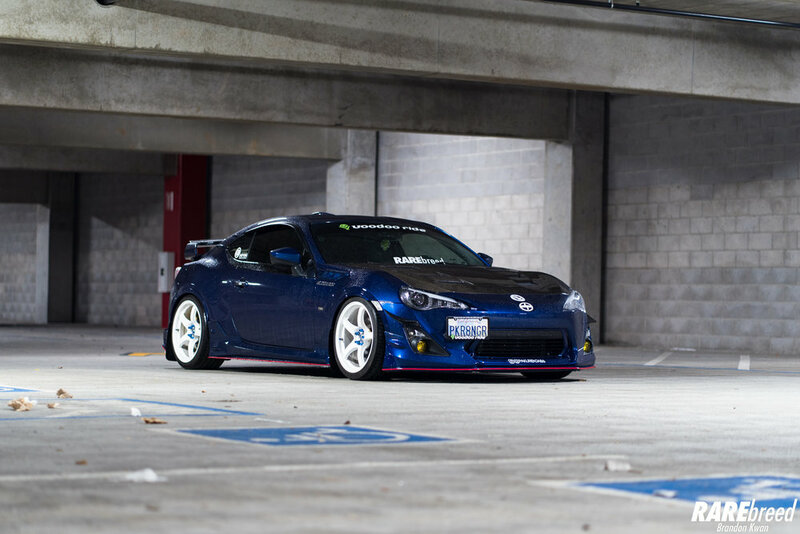 As with all FRS owners, lighting was one of the first modifications. 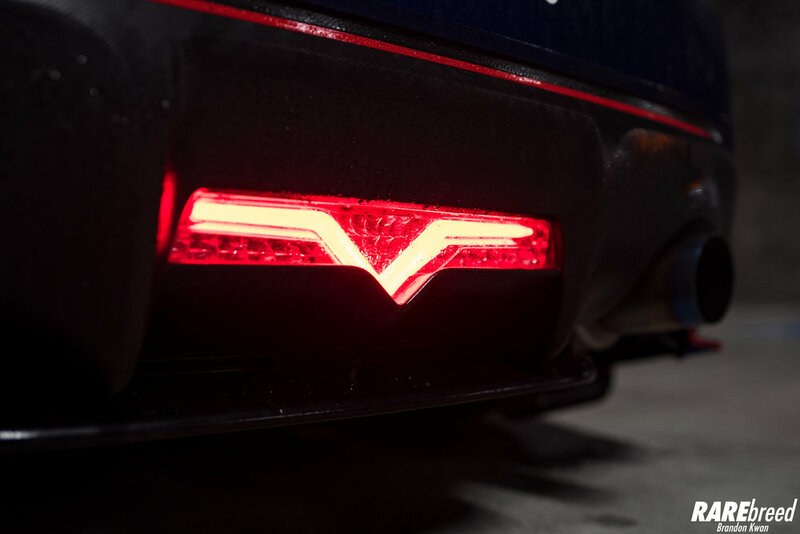 Stock Headlights, Taillights and 4th Brake Light were all swapped out with sleeker options produced by Valenti. Paying homage to its Toyota roots, TRD touches are sprinkled throughout the car. Staying consistent with the functional look, a 18” square set of Gramlight 57CR’s were installed. The gloss white nicely contrasts the deep blue colorway while the blue Mishimoto lug nuts ice the cake. In order to gain better handling and lower the overall appearance, this FRS utilizes Tein Flex Z Coilovers paired up with Whiteline Camber Bolts and UltraRacingUSA Front/Rear Strut Tower Braces. The performance set up is a lot more than the eye can see. Aside from the “Breast Cancer Awareness” themed color scheme, the main attraction is the Vortech V2 Supercharger. In addition, JDL Headers, JDL Overpipe, Motiv Front Pipe and HKS Hi-Power Exhaust allow more breathing room. 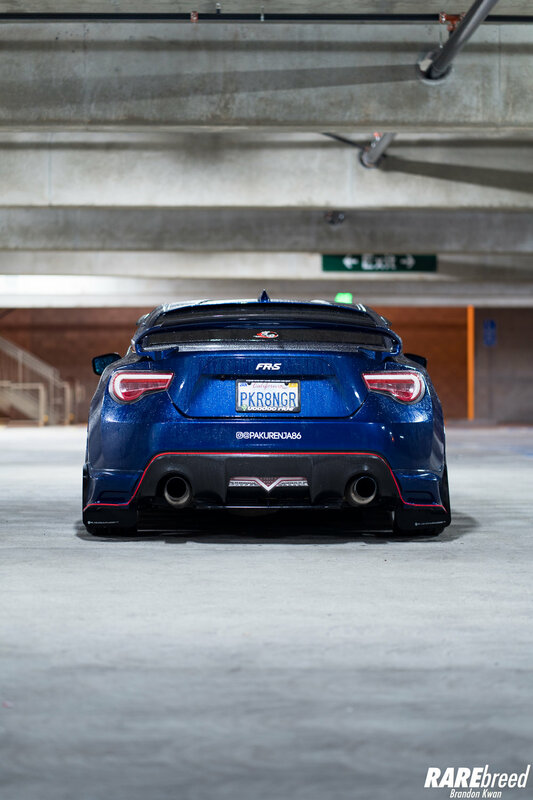 Voodoo Ride is the product of choice to keep this FRS clean at all times. If you’re a fellow 86 owner and are located in Northern California, catch Bryan and his Norcal86 friends at a meet!